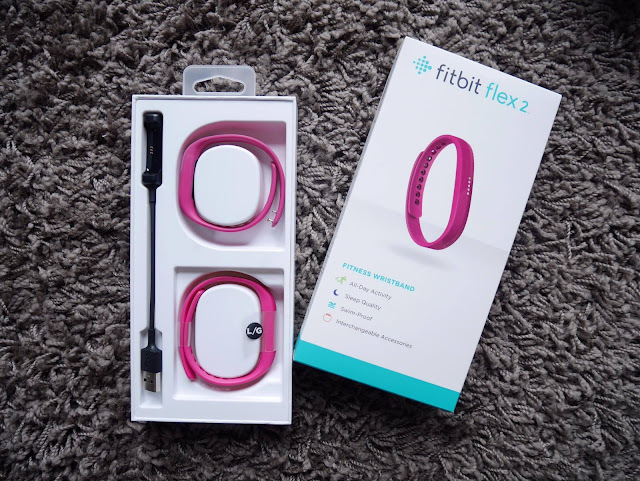 I’m here to introduce my new toy - Fitbit Flex 2. Always wanted to have a fitbit and finally i got it and i enjoy having it in my life. The main reason why i need a fitbit is to keep myself active and to track my sleep. I’m a person who can’t really sleep well at night. With this, i can finally track my sleeping hours and my sleep quality. Of course, it has more than one function. Scroll down and keep reading what Fitbit benefits my life. 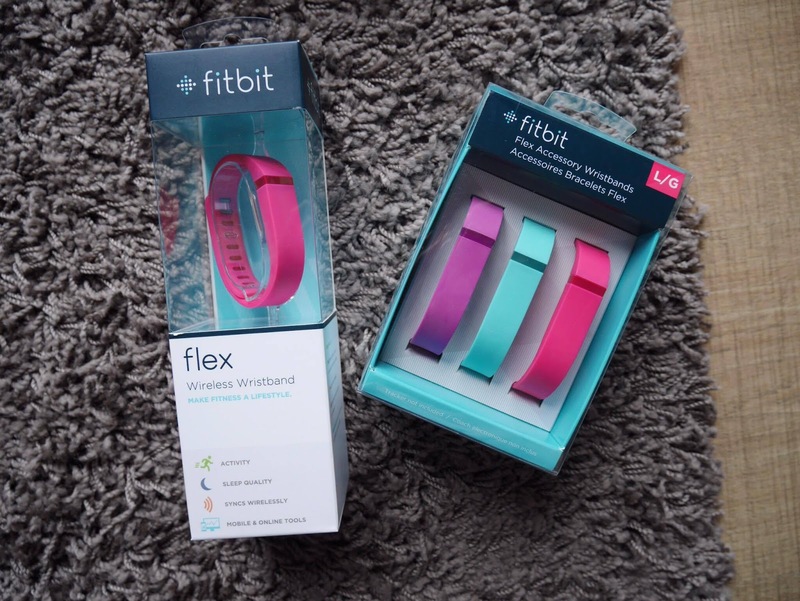 Every fitbit comes with two sizes, size S and L.
The best things about Fitbit Flex 2 is.. it is removable and change it into jewellery. The charging is simple too. Just remove it from the band and place it at the USB cable to charges. The battery is quite long lasting too. Normally i charge it once every 3-4 days. The original Fitbit Flex sat at the entry-level end of Fitbit’s product range. It was a relatively discreet tracker that did the basics of activity and sleep tracking, but offered little beyond that. For its update, which was released alongside the new Charge 2, Fitbit has brought the Flex more up-to-date, adding waterproofing and some rudimentary smartphone notifications. You’re also able to dress the Flex 2 up and down with customisable accessories. However, even with these upgrades, there are still better-value fitness trackers out there. The Fitbit Flex 2 automatically tracks your steps taken, distance walked, steps climbed, and calories burned. It is waterproof up to 50 meters, so it'll track your distance swam, and calories burned there too. All this is done automatically -- as long as the Flex 2 is on you, it's tracking. The Flex 2 is available with bands in a range of colours, including black, lavender, magenta and navy, so you'll easily be able to find one to your taste. There are other strap options available from Fitbit, however. Taking a page out of Misfit’s book, the Flex 2 can now be dressed up much more like an item of jewellery, which is great for anyone looking for a more discreet tracker. You're not limited to wearing the Flex 2 only on your wrist, though. There’s also a pendant accessory for the same price if you’d rather wear it around your neck. However, you’ll lose sleep-tracking and Fitbit’s SmartTrack functionality if worn this way. The latter is Fitbit’s ability to automatically detect activities such as running or swimming. Still, if you keep your standard bands for actual activities, the pendant is a nice way to be able to still wear the Flex 2 when it might look out of place on your wrist. Like all recent Fitbits, the Flex 2 can automatically log sleep, recognize which exercise you were doing, and track it. But for this, you can track it even when you swims. Cool right? 1. Leave a comment down below and tell me ONE reason why you need a Fitbit. 2. Remember to leave your FULL NAME and EMAIL in the comment too. That’s about it. Join the contest now and i’ll be selecting ONE winner on 10th of May 2017. I’ll be announce the winner on the comment down below. Stay tuned. I need a FITBIT because FITBIT can be my guide to a healthier body and lifestyle. With its tracking sleep pattern features, I can adjust my lifestyle from there. 1. Why do i need a fitbit? I need a fitbit to force myself to exercise more, and to trace my sleeping habit (deep or light sleep), to have a healthier body. I HAVE to have a Fitbit to continue tracking my activities especially now that I'm actively exercising everyday! I need a Fitbit to stay fit like you. i want fitbit to track my sleep and how many laps ive swam. always lose count u,u btw this can be used for weight lifting or not? I wish to ise fitbit as a guide for me to lead a healthy lifestyle with the steps and sleeping tracker. I need FitBit because I've always wanted a device which can track my movements but I've never own one.True enough there's some apps in the phone which have this function but they aren't precise enough and worse of all I need to be holding my phone all day long to track my steps.With FitBit on my wrist I need not worry bout bringing a pouch or whatsoever to place it.Its always with me.In addition my working pattern is different from others as I work according to roster.i might work on morning shift today and tmr night shift.So the function of tracing sleep is essential to me. I need a Fitbit as a reminder and motivation to move more and maintain a healthy lifestyle. I need a Fitbit because I'm finally coming back on track to my fitness routine but it seems like recently my stress makes my daily routine messy and tiring. With fitbit I could be able to track my exercise and sleeping routine, balancing my body again while motivating myself to keep doing it! I've seen changes on people who use fitbit so why not? Why do I need a fitbit? Fitbit is just like a health & fitness tracker whereby I believe I can use it to set up my fitness &health goals! The reason why this works is because of our psychology. We tends to like the psychological motivation that comes from completing our goals. I feel good about myself, and the progress bars reinforces my need to see things through. Therefore, with Fitbit, it tends to keep us moving and taking extra steps to achieve our goals. Hello karen! 😉 I need a Fitbit for my mum so that she can track her sleeping hours and quality. With a Fitbit in hand, she will be reminded to start her fitness routine everyday. And track her calories burnt at the same time. Recently I start to workout to get a healthy lifestyle. I need this Fitbit to keep track on my workout. I believe that having this Fitbit will keep me motivate. It is abit toublesone for me to use my phone during the exercise. With Fitbit on my wrist, it will be more easier for me to do the workout. I need a Fitbit cause It helps me keep track of my daily goal of moving as much as I can despite spending a lot of time in the office. The Fitbit will be the perfect companion to complement my busy days to remind me to just get up and get moving! I started working out in the gym since 4.5 years ago and my body changes from day 1. But right now my body changes is stagnant. I know insufficient rest and heartbeat rate during work out is very important for us to see results. I failed to have sufficient rest and have no tools to monitor my heartbeat while working out. I need FitBit to help me monitor my lifestyle and push me to another level of fitness. I need fitbit because I really need something to motivate me into becoming a healthier individual .I'm also rather lazy so maybe having a fitbit will rather pop my stubborn procrastinating bubble and get me to start moving and also lead me to an active lifestyle. I really hope I could win it . I need fitbit as I just started to workout and I want Fitbit as one of my motivation to keep me going like you! I need a Fitbit to stay fit and healthy everyday. I used to workout 3 days per week. I need Fitbit to track my exercises and motivate me when I feel lazy. �� I like the function of Fitbit to track sleeping hours and sleeping quality very much. As I am kind of person who always can't sleep well, I hope I can have a Fitbit to track this properly. Because I'm an active person and love trying out new and fun ways to exercise. However, these exercises do not have a proper guidance on fitness levels. This Fitbit will serve as a tracker as well as a reminder for me to always stay active! I play sports at least 5 days a week. I believe that owning a Fitbit can help me improve is the sports that I do. A Fitbit can help me by making me consciously aware of what I do. 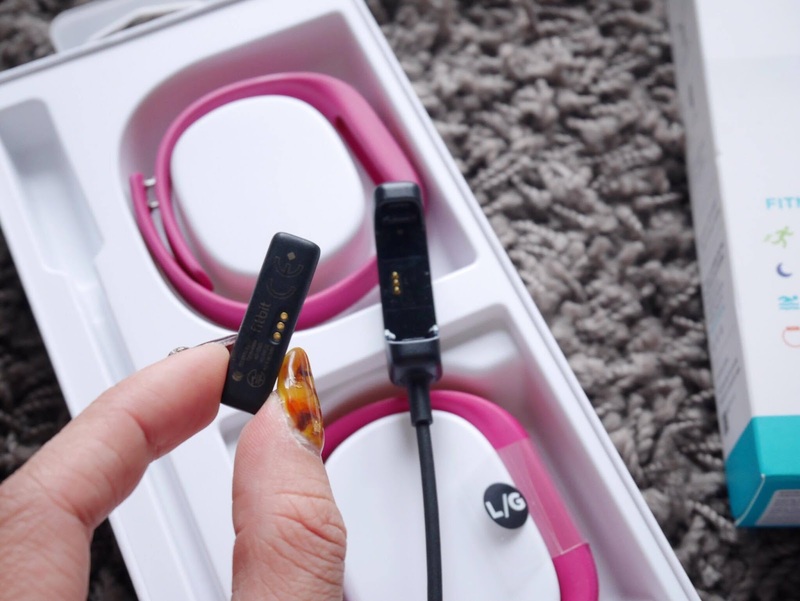 It can help me manage my workouts, manage my eating and even manage my sleep. Owning a Fitbit would encourage me to be more active and determined to achieve the goal i set for each workout. I believe that owning a Fitbit would make me a healthier person in general. I need a Fitbit because it can motivate me to exercise! It have the function "reminder to move" which could help me to stay active throughout the day and not being affect by the lazy mood. As one years ago, I get the spirit which to active in sport for having a slim and healthy perfect body. The motivation is come from my partner due to he is focusing on the body shape and also healthy body. However, the spirit is gone as argument between us, my body muscle is loosen and fats are gaining. My body ady slimming to dream size as half months time effort made by me, but because of that, I lose the direction and keep eating after the relationship between us is broken. I become no confident. I knew having good, heath, slim , perfect body is important especially as a women. I really hope I can get this Fitbit to remind me stay active and build a perfect body in a future day which might let my ex partner get shock of me and have a fresh mind about new reborn of ME. 1. Same as you which I need to trace my sleeping quality. Even I sleep for eight hours but the next day I still very tired and headache, I once been told by a traditional Chinese physician that caused I dream a lot. 2. My workout progress getting slower now a days, last time I can workout 6days per week. Now due to work, I not sure how many calories I consumed and how much I have burned. I need this Fitbit to trace my diet and workout so I can back to healthy life. Hopefully with this Fitbit I can have a healthier lifestyle and better body shape. I am a Mesomorph body type that have been working out regularly but have not been able to achieve the best targeted fitness goal due to hectic lifestyle. Often times, I might be under/over calorie without noticing it. Hence, Fitbit will be a perfect companion for me to track my calorie to match with the optimum workout for performance, better tracks my schedule (as I'm both working& studying) & also sleep pattern to ensure sufficient rest for best performance. Thanks! Finally a way to track my many steps and calories and my sleep in one package that isn't too big or ugly. Healthier me here I come! YAY!! Finally a way to track my many steps and my calories and my sleep in one package that isn't too big or ugly. Healthier me here I come! YAYY!! I was always the 'big' girl in school. But with Fitbit , I am confident it can help me shed away the "A" in FAT and replace it with an "I" for FIT! I need FITBIT because I'm not abled to exercise during weekdays because busy in education. FITBIT can help me to track calories burn in a day. It can also help me to trak my sleeping time although I sleep 4-5 hours a day. Hopefully it can help me to change to a healthier lifestyle. I am a student and the busy lifestyle make me unable to exercise during weekdays. I only able to exercise during weekend and it is not enough for me. I only sleep 4-5 hours a day. Hopefully FITBIT can help me to change to a healthier lifestyle. By typing this comment, I'm trying my best to achieve my fitness goal by pushing myself harder to go to the gym more often! I'm so sad because I find it really difficult to keep myself motivated and energetic sometimes especially having a busy lifestyle (OF COURSE)! Shamefully revealing that I would occasionally lose track of my work out and did not get enough sleep without even noticing it! I hope I could be the lucky unicorn today by winning the legendary FitBit so I can keep track of all my exercise routine + sleep pattern to stay 'Fit a Bit' more and reach my ultimate fitness goal!! Yahooo! I need a fitbit because I want to achieve my 2017 NEW YEAR RESOLUTION which is lose more FATs & gain more MUSCLEs! First half of the year has almost gone now, at least I took my first step and hit to the gym but I need Fitbit to keep track on my daily life activities so that I can achieve my dream more effectively! OMO I NEED IT SO BADLYYYY! I need fitbit for real. I know it’s hard to pinpoint the most rewarding part of fitness, as there are so many upsides. Since I started, I have seen improvements in every aspect of my life like my attitude towards work and personal challenges, an improvement in personal relationships, and a greater feeling of self worth. I wish I can stay motivated by reminding myself how far I’ve come, and never letting myself forget the way that I used to feel in comparison to the way that I feel now that I’m healthy and exercising. I never want to go backwards. I want to win the fitbit is because my girfriend wanted it for looooooooooooong time. The reason she wanted it is because she need it to track her workout performance and the result (calories that she had burned), and also the sleeping pattern as she couldnt get a good rest time when everytime after workout. I believe in fitbit that able to help her to solve her problem ans improve ger result in workout. I want be like you! I love to watch your fitness experience share with us.. I hope I can get a good body shape and gain more muscle. If I get the Fitbit from you, It can remind me continuing keep fit and achieve the best target fitness goal. I love you. I inspired by you to start my workout journey years ago. Since then, I start hitting gym and joining running events. I am not a determined person, so I always lose motivation and tend to give up when I hit a plateau. However, I will restart my workout journey soon after that but demotivated again when I hit a plateau. Things like this happened for several times. Therefore, I hope Fitbit can help me to track my exercises, so I can stay motivated and maintain healthy lifestyle. With Fitbit, I believe I can overcome all obstacles and achieve my fitness goal! Congratulation! You are the lucky winner for this GIVEAWAY! Hey Karen, I need a Fitbit to help my mom track her health, because I'm not always beside her. It will help me keep track my mom sleep quality because my mom always can't sleep well in night and also my mom is playing yoga it may help her tack his activities easier . Ever since i lost my fitbit i havent been able to motivate myself to get back to my workouts. As my health was degrading due to heavy work and neglect. Would really love to get back on track with a little help and a reminder to get back on track. I would like to give it to my sister as a birthday present. This is due to the reason that she has a very hectic work schedule and often have insufficient resting time that always make me worry. 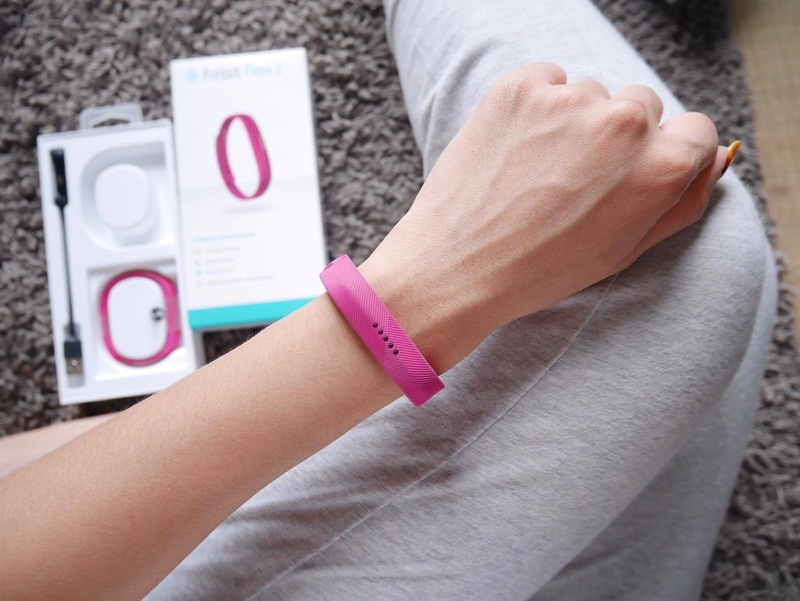 Having a Fitbit could help to remind her to move around more often and have sufficient sleep! I believe Fitbit will be a great birthday gift that could help to change her life! Use fitbit everyday, keep the sickness away. I need a Fitbit because I always wanted to have a decent sleep and healthy lifestyle after a long day of works and workouts. My mom is a teacher and she also have tuition class after school. I would like to give this because it can ensure my mom have enough sleeping time and reminder of workout to stay more healthy. As a university student it has always been hard to track my sleep and activities. Often my days are spent in class , on calls or in the hospital. Some days not even getting to sleep. I used to do a lot of out door activities but recently I've been slacking behind due to the very tight schedule. Im sure with fitbit I would be able to regain my activities on track and stay healthy again. I need a fitbit because it is so smart that it can track not only steps and distance, but the type of activities you do! Also I can easily monitor and put in data through my phone, instead of writing it in diary or recording with Microsoft Excel. It will also generate a report that shows an overview of your activities. Joining the fitbit challenges through the app will also be a great motivation on my workout journey. After all the research and knowing so much benefit that fitbit and fitbit community will bring me, it's a bummer that I couldn't afford it! And the stubborn side of me do not want to settle for other brands. So please, let me win this! I have been aiming Fitbit for quite some time �� And I need one badly, need it to track underwater activity because i swim sometimes. I need a Fitbit because i always wanted to track my workout and how far I achieved to gain a healthy and fit body. I always go to the gym and often play futsal and volleyball. I really want to track how far i have come everyday. Especially during gym which i always lift weights and join classes. To know how much I achieved will actually make my more confident in myself and help me present myself better in life. Who doesn't need a fitbit? It reminda us to keep moving. Fitness is the new trend. I need this FitBit because my boyfriend is starting a fitness program to achieve his fitness goal for our coming beach trip. I believe FitBit flex could be a motivation for him to monitor his daily activities. Hope he loves this surprise gift. Hi Karen, I want the FitBit flexi as a gift for my girlfriend. She is a workaholic and a sports fanatic. Hope this gift could be a motivation and as an appreciation for her hard work. I believe she will definitely loves it. Thank you. 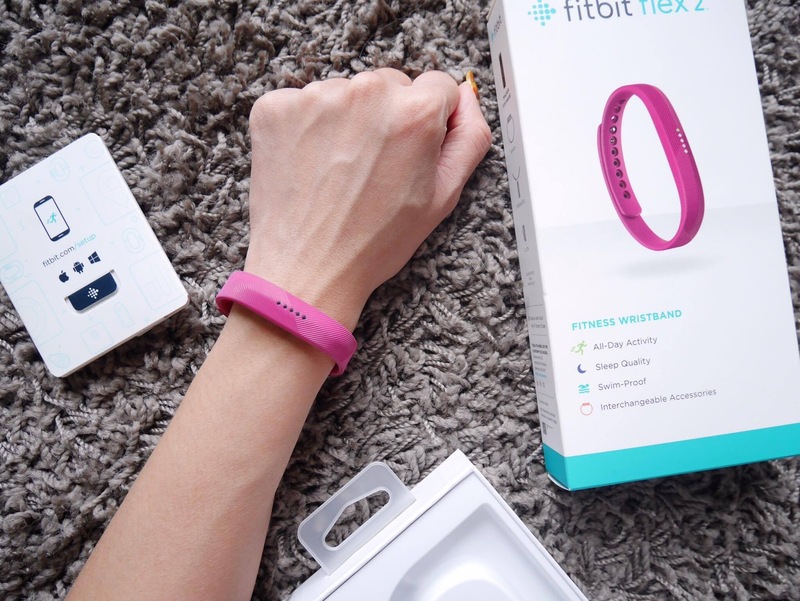 Living in a hectic working schedule, I have been always wanted to own a lighweight tracker or device that able help to keep track my life style to a healtier one and FitBit is definitely an ideal one. With FitBit, I believe it will bring me closer to my fitness goal and keep me motivated to a healthier me. Why I need this Fitbit? I believe with this Fitbit I able to track down every seconds that I take while I having sports. Enable me to check on my health and status as well. This device may boost my motivation to keep me active. For example, walk more in order to get more steps and most importantly keep healthy. This device may link to one of my apps called AIA vitally which is a bonus for me. I'm not a psycho don't worry, just a small fans. 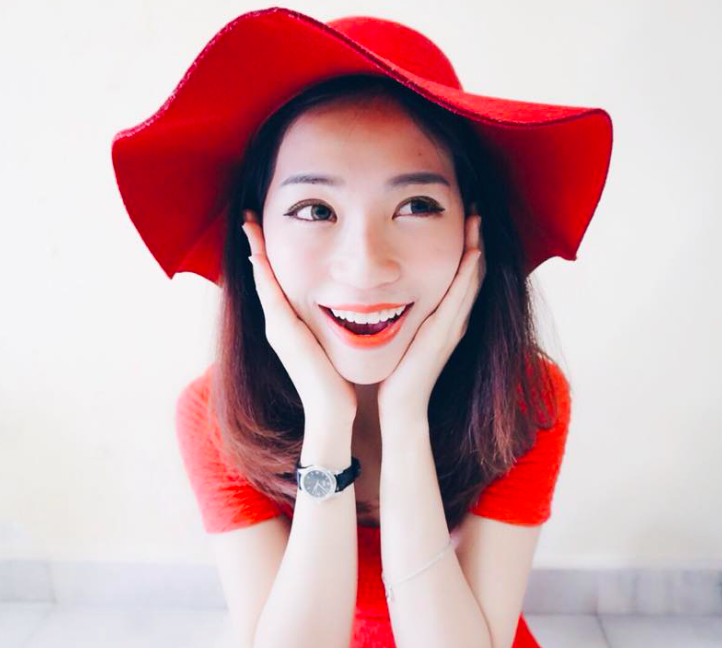 Really wish to get this Fitbit from you and can take a photo with you! Anyway, all the best to you and keep posting ! The reason why I need a Fitbit is to help me move towards my health and fitness goal. I remembered setting goals like " I need to lose 5kgs, I need to look good, i want to be fit,I need to fit into that dress.... etc " There was one period of time, I was so obsessed with being skinny, I started restricting my food intake, counting calories, working out excessively. eventually, I lost weight but I was certain that I wasn't happy, I was physically and mentally drained. It was then I realised I needed a change. Everyone’s journey to healthy living and fitness is different and can take many routes, forms and ways. I'm not ashamed to say that I am still on the journey to find my "right" way! With Fitbit I can track my activities, exercises, food log, thus encouraging me to engage eating the right food, of course not forgetting to get sufficient sleep! Constant reminder to myself : start small, achieve big! Being fit is the new skinny! I really need Fitbit because i want to start healthy lifestyle. After giving birth to my second son, my body don't regain to my original state. I am really want to get back in shape because i had c-section surgery. With Fitbit, i can trace my burned calories, my steps, my distance, my sleeping habit and set my goal to get 55kg. Now, i am 30 years old, its time to get in shape and fit. With healthy lifestyle i can do so many things. From house keeping, taking care of my children, plan my career to be better and less sickness. I always getting fever, flu and cramp.With Fitbit i know i can achieve my goals to be healthy mother and transform my family to a healthy lifestyle. Thank you. Good day day!If I were to win the fitbit from you. I will pass it to my boyfriend. His work are surrounded with stress and I would like it to track down his lifestyle and habit to live healthier and better day by day. Why FitBit? Why I wish to have a FitBit is because being a student where I am currently pursuing my studies oversea, its really difficult for me to keep up with the progress of my exercise and whatnot my sleeping pattern as being a medical student, my sleeping time has gone upside down. Being here is Moscow, Russia and with the super cold winter weather that always reaches negative degree, and heater that does not work occasionally, my exercise regime has gone down the hill and I could not afford gym fees here as it is expensive. With the room being cold all the time and window that are always close due to the cold weather, i could not do simple exercises as is suffocating. As being in the month of May with Spring season, Moscow weather has already gone haywire and it is currently snowing and raining with temperature reaching 2 degree Celsius. As spring is the only time to achieve the body I desire, the weather has prevent me from going for my daily morning jog. With the FitBit, it will definitely help me to track my steps taken daily and keep me alert on my health. One of my biggest motivations in fitness today is a mini competition I have with my friend in which we both compete for the honour of obtaining the highest number of steps each day. However, my phone doesn’t perfectly encapsulate the number of steps I take a day as I don’t carry it around often nor is it effective in properly keeping track of my health. Whether it be running, working, or sleeping, I feel like a compact and efficient device would be incredibly useful in the gym and my daily life. And that is the FitBit! Hi there! Good day ahead! Why I need FitBit? Hmm, I need FitBit to motivate and remind myself to have a healthy lifestyle always. Hope I can get FitBit to track my steps walk every day and also help track my sleeping hours as I'm burning midnight oils for my exam. I got into fitness only about 2 years ago after living a sedentary and inactive lifestyle. I started off with pilates but now I'm up for anything, from yoga to HIIT and spin. I've learnt to love pushing myself. Having a Fitbit will help me to take my fitness journey to the next level- to become a fitter and stronger me. Plus, I work in fashion so the fact that it looks like a chic accessory is a bonus! 1. I want to set up my health and fitness goals. I've just start a Gym journey. My motivation and planning are not strong enough. I need a Fitbit to track my lifestyle, control the calories on food and track the fat burns through workout. The best thing of Fitbit is able for me to wear it for swim.I love swim but I have no idea how much the calories burnt. To achieve my fitness goal in a short period, I need a Fitbit ❤️ Hopefully I can be the lucky one . And Thanks Karen for the chance given on this . I need Fitbit to track my weight loss journey. I reached my highest weight at 118kg in 2016. I'm always feel sluggish, tired and feeling sick. I'm sick of being overweight I decided that I will lose it all. Starting December 2016, I started work out at home and slowly lose small weight. I have figured this out about myself: I am the type of person who doesn't like to do anything unless it is fun. If it seems like work and boring, it's drudgery in my mind and I'll do anything to avoid it. I guess I've figured out how to fun workout. If I can make a game out of it, I'll do it happily. With Fitbit, I can easily keep tabs on how much exercise I'm getting (or not getting). It motivates me to get more steps and be more active.